With the explosive growth of data, thousands upon thousands servers are contained in data centers. Hence, node failure is unavoidable and it generally brings effects on the performance of the whole data center. On the other hand, data centers with vast nodes will cause plenty of energy consumption. Many existing task scheduling techniques can effectively reduce the power consumption in data centers by considering heat recirculation. However, traditional techniques barely take the situation of node failure into account. This paper proposes an airflow-based failure model for data centers by leveraging heat recirculation. In this model, the spatial distribution and time distribution of failure nodes are considered. Furthermore, the Genetic algorithm (GA) and Simulated Annealing algorithm (SA) are implemented to evaluate the proposed failure model. Because the position of failures has a significant impact on the heat recirculation and the energy consumption of data centers, failure nodes with different positions are analyzed and evaluated. 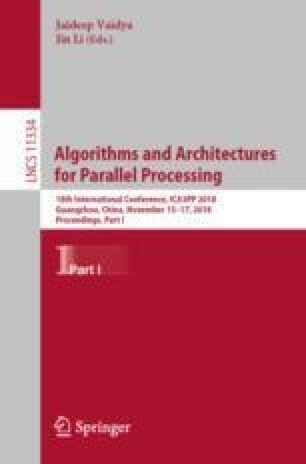 The experimental results demonstrate that the energy consumption of data centers can be significantly reduced by using the GA and SA algorithms for task scheduling based on proposed failure model. This work is supported by the NSFC (no.61572232), in part by the Science and Technology Planning Project of Guangzhou (no. 201802010028, and no. 201802010058), in part by the Science and Technology Planning Project of Nansha (no. 2017CX006), and in part by the Open Research Fund of Key Laboratory of Computer System and Architecture, Institute of Computing Technology, Chinese Academy of Sciences under Grant CARCH201705.